Tensions soared in Democratic Republic of Congo on Saturday as hundreds of ruling party supporters stormed Kinshasa cathedral after authorities banned a planned church-backed rally against President Joseph Kabila. The incident came as the chronically unstable nation braced for more unrest following months of tension and clashes sparked by Kabila's refusal to step down. "We have come to take possession of Our Lady of the Congo Cathedral to take part in Sunday mass ... and defend the homeland," Papy Pungu, youth wing leader of the People's Party for Reconstruction and Democracy (PPRD), told AFP, vowing to "spend the night here". Authorities banned Sunday's anti-Kabila march after previous protests on New Year's Eve and January 21 saw 15 people killed by security forces, according to tolls given by organisers and the UN. The government says just two people died at those protests. Witnesses said the arrival at the cathedral of the PPRD supporters, many wearing red berets, sowed panic in the capital's northern Lingwala municipality. "They arrived aboard several Transco (public transport) buses and stormed the shrine of the Virgin. It's a provocation," local parishioner Felicite Mbula told AFP. "The church is closed, we couldn't hold mass this evening," she added. Antoine Bokoka, a parish official, said the PPRD were "pretending to come to pray Sunday. But you don't stay overnight in our parishes". The capital was already on edge after authorities banned the anti-Kabila protest, with two similar rallies having been brutally put down last month. 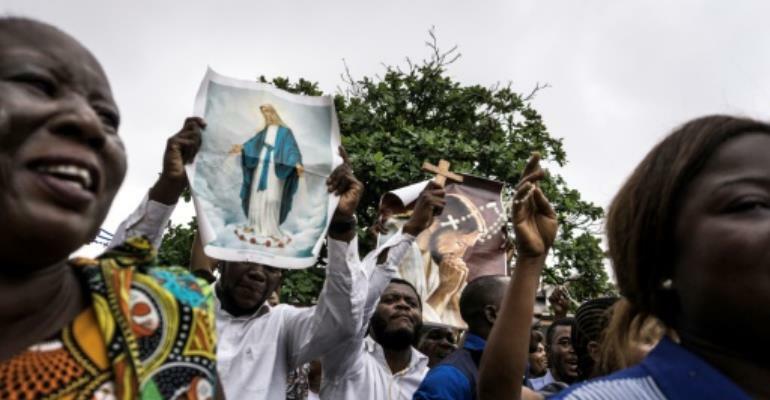 Kinshasa governor Andre Kimbuta told the Catholic organisers in a letter that without an agreed route, the city authorities "cannot guarantee proper supervision" of the demonstration. Kimbuta's decision came after organisers were invited to discuss possible routes but the meeting ended without a deal when members of a key opposition group did not turn up. Sunday's planned march was called by the Lay Coordination Committee (CLC), an organisation close to the church, an influential social and spiritual force in the troubled country. The church hierarchy has repeatedly urged the population to remain "vigilant" against the Kabila regime. Kabila in January accused the church of interfering in Congolese politics, saying: "Give to Caesar what is Caesar's and to God what is God's." Political tension in DR Congo has been mounting since September 2016, when clashes between youths and security forces left dozens of people dead in Kinshasa. 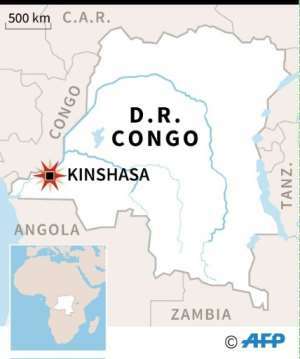 Speaking to reporters on Saturday, Kinshasa police chief General Sylvano Kasongo said he was under orders to "take measures to ensure the security of the population, and to stop anyone who attempts to disturb public order". He added: "The goal is to have zero casualties." Kabila, who took over from his assassinated father in 2001, is at the helm of a government that critics and grassroots groups say is riven with corruption and incompetence. He was due to stand down from office in December 2016, ending his second elected term, but he has controversially stayed on under laws enabling him to retain power until his successor is elected. Under a deal brokered by the church, he agreed that elections would be held by the end of 2017. But the plan fell through because of what the authorities called "logistical problems" in preparing the vote. In January, Kabila said he stood by the latest timetable to hold elections -- on December 23 this year, two years later than scheduled. But he has refused to state clearly whether he intends to stand again.